The L.E. Phillips Career Development Center’s state of the art custom woodworking shop will meet your production needs. Our CNC panel saws aid in the efficiency and accuracy of completing your project. Our goal is to bring cost effectiveness and increased quality to you. Our Computerized Panel Saw offers excellent performance using the height of modern technology at low costs. Due to the high quality components, the CPS has excellent speed and precision and cutting quality. 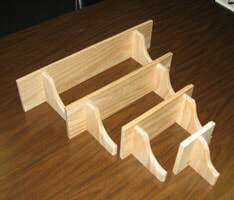 A CNC Router can be used to cut, trim and shape a wide variety of materials, including wood, into two-dimensional shaped products. These fast accurate machines are used by a wide variety of manufacturing industries including woodworking, plastics, aerospace, automotive, boating, medical and defense. To better serve our customers, we have some of the most in demand products and equipment capabilities available.